Though I love to eat, it took me a while to start cooking like a person who wants to live past the age of 50. I literally ate so much boxed macaroni and cheese in my early 20s that I ended up at a doctor for stomach pain, and eliminating fake cheese from my diet immediately cured me. I turned to the internet to figure out how to make a stovetop mac and cheese that did not rely on a powder made of sodium tripolyphosphate and Yellow 6. But, cooking is an art form. And as in all creative processes, you torture yourself and procrastinate for as long as possible, getting “inspiration” or “researching,” before you put brush to canvas, or pen to paper, or skillet to the fire. Luckily, on YouTube, there are thousands of videos featuring professional chefs, amateur home cooks — sometimes with animal sidekicks — lovingly preparing meals or revelling in food challenges. 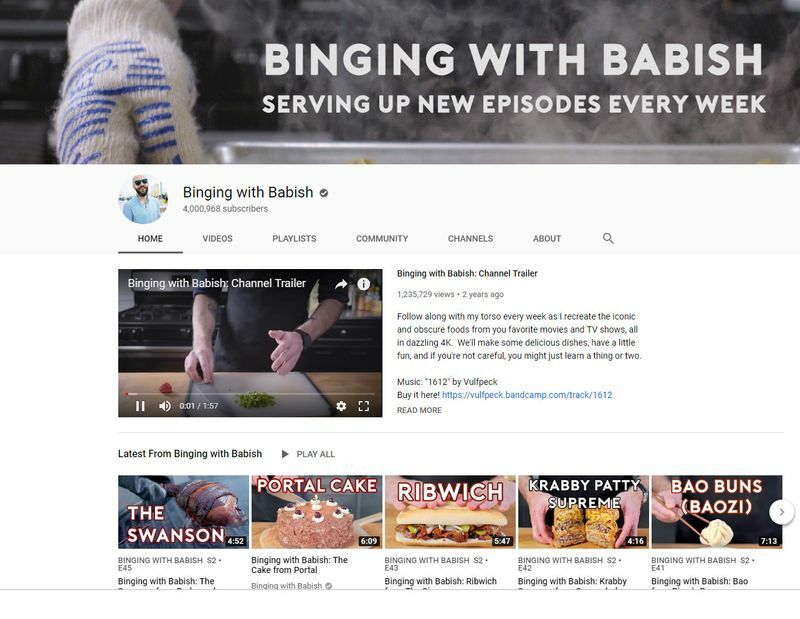 Below, I’ve curated a list of videos to inspire every kind of cook. Is it just me, or do a lot of food recipes assume your home is already packed with vegetables, or tools like meat thermometers, or fresh herbs? A person like me is more likely to have four eggs, a potato and microwave popcorn. 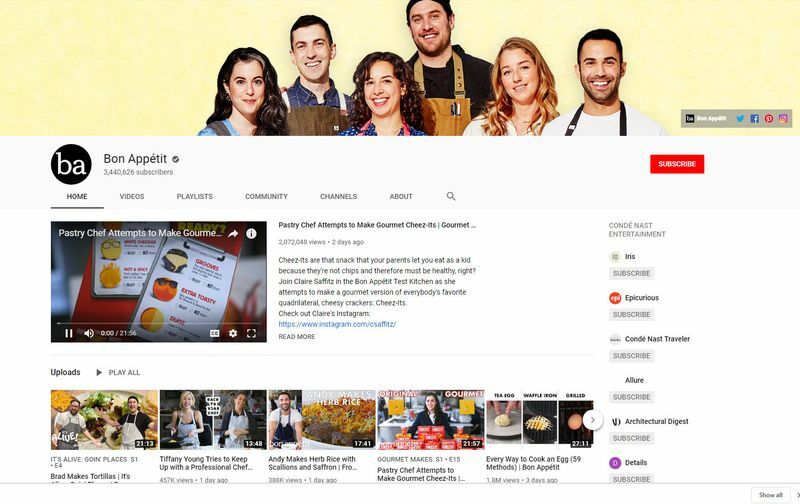 I started out with a search for recipes with five ingredients or fewer — which I learned are a scam anyway — and ended up on Brothers Green Eats, a popular cooking channel featuring Josh and Mike Greenfield. 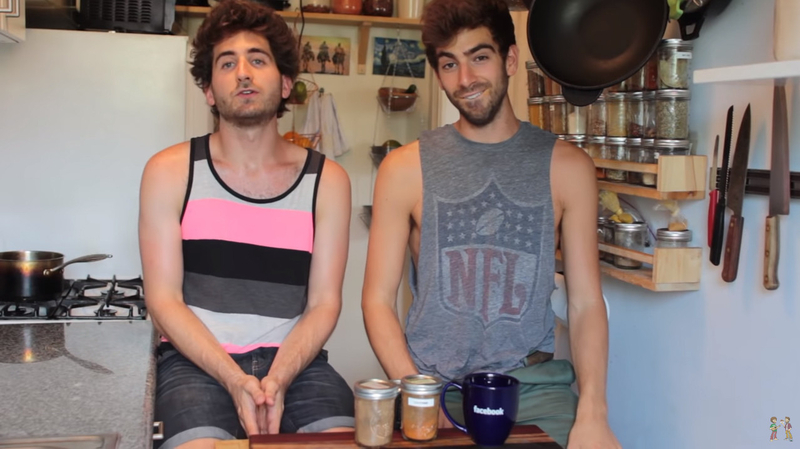 The siblings have been recording low-key cooking videos for years in their wonderfully normal kitchen — think a railroad kitchen in a rent-controlled Brooklyn apartment rather than the test kitchens and suburban paeans to domestic bliss you normally see. They have video challenges where they try to make as many recipes as they can featuring only one ingredient. A lot of this stuff looks questionable — how is it that the deep fried egg looks both disgusting and delicious? — but the videos are charming and entertaining. Pasta is my favourite thing to make at home. 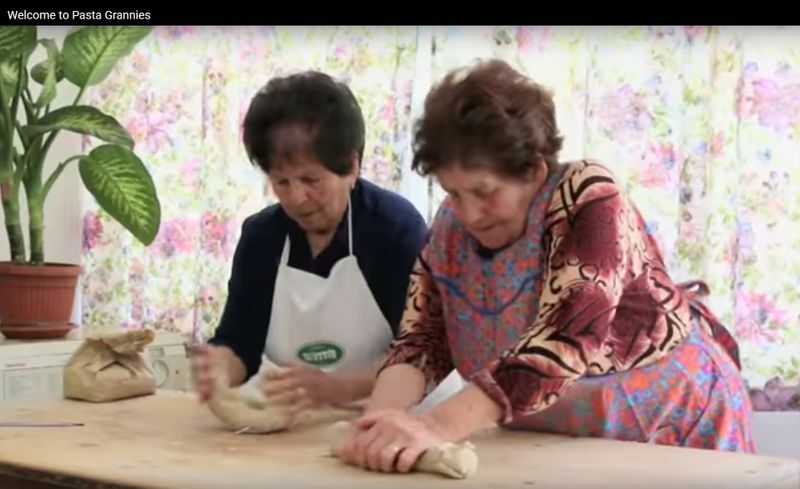 It gets a bad rap — it’s pretty carby and single-serve portions are hard to control (I believe a true one-person serving is approximately half a box of pasta) — but Pasta Grannies reminds us that, prepared lovingly, it exudes flavour, culture and family history. This is the channel to save for a rough day, when you’ve worked long hours, and the idea of making anything more complicated than plain pasta with olive oil (and a generous amount of garlic salt and Parmesan cheese — you’re welcome) sounds too draining. Jun’s Kitchen offers beautiful plating, adorable cats, a scenic view of a foreign country and the soft chills elicited by the weirdly satisfying sound of a knife chopping greens or tempura frying. And if you are an ambitious cook, the descriptions feature ingredients and equipment if you’d like to follow along some day. It happens to all of us: Someone realises that you have attended, eaten at and even given feedback on the dinner party meals that rotate among your friends, but somehow it is never your turn to cook. So now you must devastate them with something delicious, aesthetically pleasing and, most importantly, at your skill level. Binging with Babish provides the perfect inspiration. The channel premiered in 2016 and has nearly 4 million subscribers, and its high production value belies the filmmaker cred of creator Andrew Rea. The ‘Weeknight Meals’ video is a personal favourite — everything looks gorgeous and like something a lazy idiot like myself could make. Any of these recipes can be doubled for a larger party, and the meals look impressive enough that you might buy yourself a reprieve for the next couple of rotations and go back to what you (and by you, I mean me) do best: Cracking jokes and making unhelpful food-related observations over a glass of wine while definitely not helping with the meal. Bon Appetit is a bona fide YouTube powerhouse now, so all of its videos are gorgeously produced and informational. But my favourite series is Gourmet Makes, which won’t teach you how to feed yourself but serves as perfect entertainment. In each video, pastry chef and food editor Claire Saffitz tries to reverse-engineer popular snack foods and candies. Saffitz evaluates the texture, shapes, flavours and ingredients before she sets out to make her own version of Pringles, Ferrero Rocher chocolates or Cheetos. But, I admit that I was most charmed by Saffitz’s rapport with her colleagues who share the test kitchen with her. They care about delicious food and root for her even as she destroys kitchen equipment to accomplish her goals.